In terms of gift ideas, it's probably best to avoid anything diabetes related! 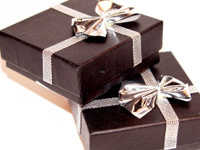 When it comes to presents for people with diabetes, many of us would rather have presents that are not connected with our diabetes, but this can vary from person to person so they key is to know the person you’re buying for. We’re here to point you in the right direction of what to consider when choosing a present for someone with diabetes. Is it best to buy diabetic food? This is one of those where it can go one of two ways. Some of us prefer diabetic food if it means that it has slightly less impact on blood sugar levels. However, just because a product says ‘diabetic’ on it is no guarantee that it is any more suitable for sugar levels than other food without the ‘diabetic’ label. There is no guideline in the UK about who can use the word ‘diabetic’ on the food and this means that any food could legally bear the term ‘diabetic’. Also, some people with diabetes actively avoid anything bearing the food. One reason is that some of us feel strongly about not being seen to be defined by the condition we have and another good reason is that diabetic food can often have laxative effects, if they contain sugar alcohols, which can cause stomach pains in some people. Are non-diabetic sweets or chocolate OK? As with the above, this comes down to the preference of the individual. Some people with diabetes don’t like to be left out of having sweets or chocolate whereas other people with diabetes are very conscious of avoiding sweet foods that may adversely affect their blood glucose control. If you’re buying a present for someone who you don’t so well know, which can sometimes happen with ‘Secret Santa’ presents, it may be better to pick a non-food gift. Could I buy a blood glucose meter or diabetes equipment? If you know your intended recipient needs a particular piece of diabetes equipment but has yet to buy it, say for cost reasons, then go ahead but keep the receipt in case they’ve bought the item without you knowing. If your intended recipient has not been dropping hints it may be best to avoid this area of presents. One reason is that often people with diabetes have particular needs in terms of our equipment and some items may not be compatible with our individual needs. Another reason is that some of the items may be available freely on prescription. As a general rule, it’s best to avoid buying medical equipment unless you know the recipient will definitely appreciate it. Is an adventure day present suitable? In most cases, diabetes should not prevent someone taking part in adventure day experience. Some experience days have exclusions for disabilities or certain medical conditions and it’s highly recommended to check whether this will prevent the gift recipient taking part. Some experience days may also not be accessible for people who take insulin because of the risk of hypoglycemia. Scuba diving is a notable example of an adventure activity that is difficult for people with diabetes on insulin to be insured for. Also, be aware of any general restrictions that could apply including height or weight restrictions. Could I buy sports equipment for them? The vast majority of sports should not pose a barrier for most people with diabetes, unless they have a particular health condition in addition to diabetes that restricts their ability to take part in certain sports. Could I buy my friend a tattoo or piercing? People with diabetes can have tattoos and be pierced but it is quite important that those of us with diabetes have our diabetes under adequate control to prevent a slow healing process and to minimise the chance of infection. It is also advised that some parts of the body are avoided for tattoos, such as areas used as injection sites, which can be useful to bear in mind.